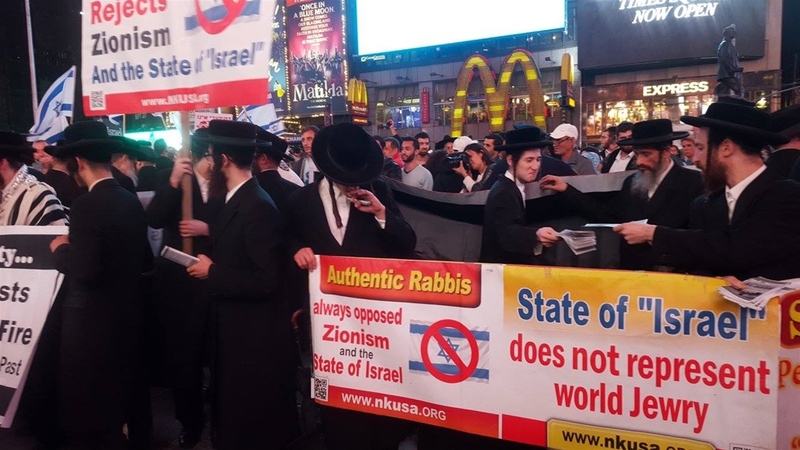 On Sunday, October 11 a large group of anti-Zionist Jews counter protested a pro Israeli "Stop The Stabling" rally, stating that the Zionist are responsible for the current tragedies. With great pain and fear, we stand and watch the suffering and bloodshed on both sides of the conflict that stems from the Zionist philosophy, which began 150 years ago. 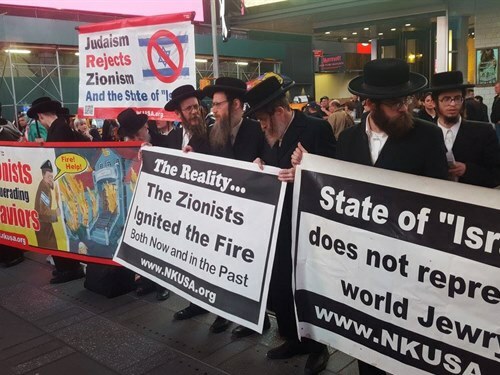 From then until now, Zionism has sown only pain, suffering and bloodshed in the world. World leaders and ministers have been struggling to work out some compromise that could improve the situation, but they have had no success. The fire of the conflict flares up from time to time, and no one can extinguish it. 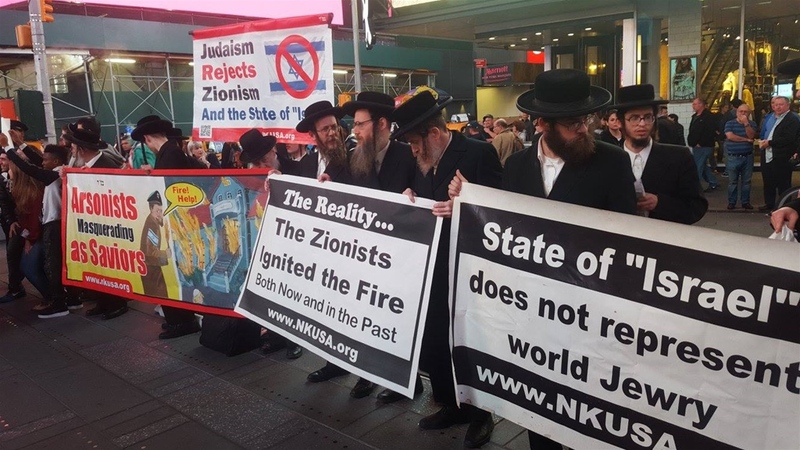 Our great rabbis of the past, at the time the Zionist philosophy was born, predicted from the start that such would be the results of this accursed plan. Now before our eyes, their words have come true continuously, over a long period, filling every righteous heart with sorrow. 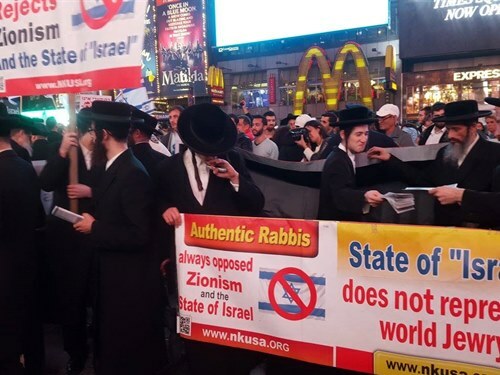 Is this not the punishment the Almighty warned of in His Torah for transgressing the oaths that He placed upon us, one of which is not to rebel against the nations? The Torah commands that we live humbly, accept the yoke of exile, seek the welfare of our country and pray for its peace. If only we could return to those peaceful days before the rise of the Zionist movement, when Jews and non-Jews lived in peace, tranquility and respect side by side, with no danger! In those days, small numbers of Jews used to immigrate to the Holy Land as individuals, with the sole purpose of serving the Almighty, without any plans to rule over the country â€“ and then they lived in peace and harmony. 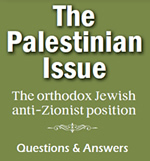 To this day, there are multitudes of Jews living in the Holy Land who strongly oppose Zionism and all their continuous evil actions, and whose only goal is to serve the Almighty peacefully, as their parents and grandparents did before them.Â How great is the pain when people fall as innocent bystanders in the fiery conflict ignited by the Zionists! 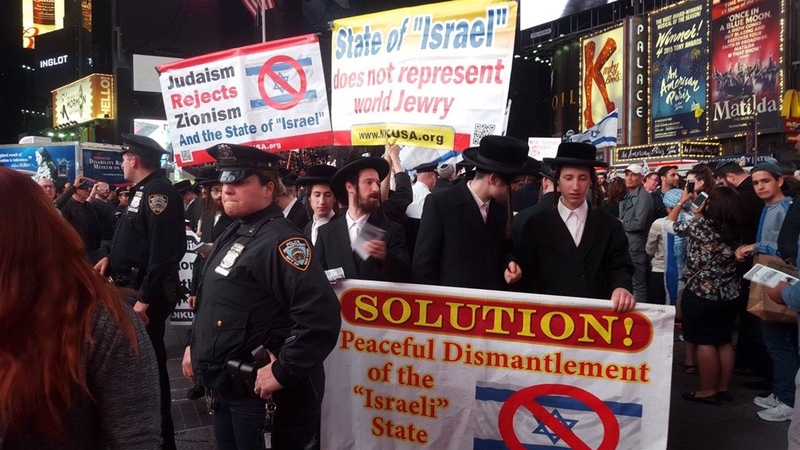 The events we witness today are the fruits and results of the Zionist movement. A heavy black cloud hangs over the future of this heretical movement. 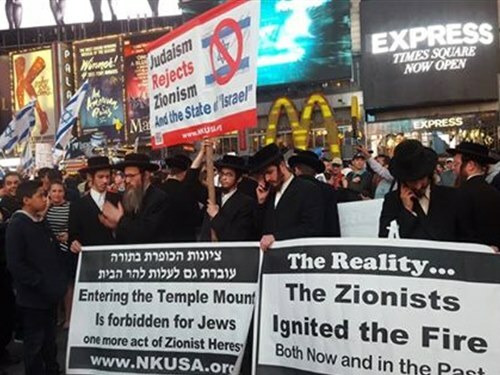 What we can do is declare the truth: that the Zionist movement's efforts to portray itself as synonymous with the Jewish people, and its actions as approved of by the Jewish Torah, are completely false. It is not the Jewish people, and the name "Israel" they have adopted is a forgery, a stolen name. 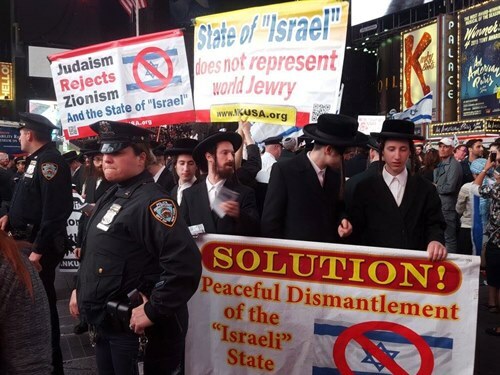 Their state is not a Jewish state, only a Zionist state, and all their actions are the opposite of the Torah. 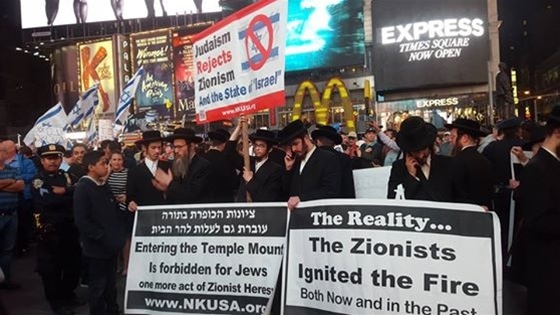 They have no right to speak in the name of the People of Israel or the Torah of Israel. We await the revelation of the Almighty's glory in the entire world, when all nations will live together in peace.